Living a high-performance life™ means you have to believe in yourself more than anyone else does. As you set goals and work to achieve them, there will be skeptics who will tell you that you can't, that what your are trying to do is impossible. When the skeptics appear, which they will, remember the story of Roger Bannister who was told it was impossible for a human to run a sub-four minute mile. "Ladies and gentlemen, here is the result of event 9, the one mile: 1st, No. 41, R.G. 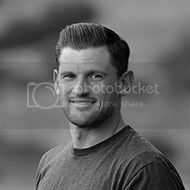 Bannister, Amateur Athletic Association and formerly of Exeter and Merton Colleges, Oxford, with a time which is a new meeting and track record, and which - subject to ratification - will be a new English Native, British National, All-Comers, European, British Empire and World Record. 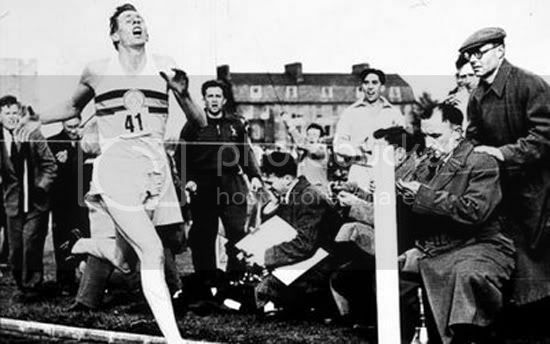 The time was 3..."
For the first time in history Roger Bannister beat the 4 minute mile. Roger helps us remember to not lose site our our goals and dreams. Our success, if we don't give way to doubters, will be a catalyst to help others believe they too can achieve the impossible. In 1955, the next year, over 86 other runners recorded sub-four minute miles. The next time someone tells you it's impossible, dig deep, believe, achieve, and be the catalysts the world needs to believe.